The Federal Government is expected to invest 3.4 billion EUR in R&D in 2017, of which a total of 627.7 million EUR is part of tax incentives for R&D for companies. 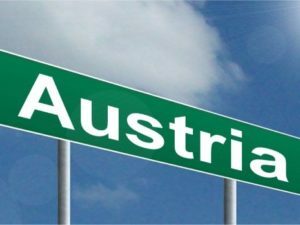 Overall expenditure on research and development in Austria for the year 2017 is expected to amount to 11.3 billion EUR. 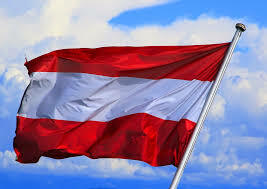 According to the “research moratorium” adopted in the Council of Ministers of 8.11.2016, Austria aims at increasing its research expenditures up to 3.76%of GDP. It is envisaged that a third of the increase will come from the public hand and two thirds can be leveraged by the private side. Around 100 million EUR are invested to increase the tax incentives for R&D from 10%to 12% in 2016 and up to 14% in 2018. 100 MEUR are directed to Material research (including smart materials and raw materials) and production research (including robotics). Industry 4.0 related ICT topics (applied research in areas such as “intelligent systems for automated driving”, “machine learning”, “security / interoperability, communication technologies (5G)).” are funded with approx. 85 MEUR. A pilot factory for science and industry at technical university (TU) of Vienna has been installed as a key component of the strategic focus of Industry 4.0. In 11/2016 two other pilot factories have been announced. The Ministry of Infrastructure will pay half of the costs – up to two million EUR for three years. In addition, Austria has started substantial investments in Automated driving in 2016 (bmvit: 20 MEUR by 2019). On the highways around Graz, test runs begin with cars that independently steer, brake and accelerate. Other regions also prepare test tracks for autonomous driving. For example, urban autonomous mobility is tested through a self-propelled bus in Vienna. By the end of June 2017, a test region in the area of Linz-Wels-Steyr with “DigiTrans” was prepared. Commercial and special vehicles are in the focus here. In the province of Salzburg and in Niederösterreich, test regions for rural areas are being prepared. A detailed analysis of the investments in smart manufacturing industries or new digital activities in Flanders will be carried out in the next months. It is estimated that the funding from Flanders for activities related to Industry 4.0 exceeds at least 50 million EUR/year. In 2016 the Flemish government budget for scientific research (R&D) was 1398 million EUR. The total R&D&I budget from the Flemish government will grow to 2217 million EUR. The budget for innovation was increased with 175 million EUR in 2017. The government announced in September 2017 that budget for innovation in 2018 will be increased with another 75 million EUR. Cluster policy introduced in 2017 new instruments for Spearhead Clusters (up to 50% of the budget, and max 500.000 EUR a year over a ten year period) and Innovative Company Networks (up to 50% for coordination costs and cluster activities of maximum 150.000 EUR a year during maximum three years). The Government elected in 2014 updated in May 2015 this strategy to ‘Plan Marshall 4.0’. The Plan will mobilise 2.9 billion EUR public investments in the period 2015-2019 on five priority axes: human capital development; industry development by innovation; territorial development; circular economy. The fifth, new priority axis is ‘digital innovation’, with a budget of 250 million EUR. This fifth priority on digital innovation in the Marshall Plan 4.0 was translated end of 2015 in a strategy for digitalisation, ‘Digital Wallonia’. The Digital Wallonia strategy with its 50 measures managed through the Digital Agency is endowed with a total budget of 500 million EUR for the period 2015-2020 (with an important contribution from ERDF). The total expenditure on R&D in the Czech Republic in 2014 reached 85.1 billion CZK (3.3 billion EUR), which represents 2% of the GDP. Of this volume spent on R&D, 69% was used to realise applied research and experimental research and 31% for realisation of basic research. OP PIK (Operational Program for Entrepreneurship and Innovation for Competitiveness), with a total allocation of 120 billion CZK (4.5 billion EUR), is to become a key financial instrument immediately available for kick-starting and applying Industry 4.0 in the current programming period. Programmes particularly appropriate here are Application, Potential, Innovation Vouchers, Infrastructure Services, Cooperation, Knowledge Transfer Partnership, Pre-Commercial Public Procurement, Proof of Concept, ICT and Shared Services and then High-Speed Internet, where the situation. At the time of this report no details on investments in the new Digital Growth Plan were available. In the vision of Digital Growth Panel the new government strategy can have unlocked DKK 90 bn (€12 bn) by 2025 within the five selected sectors with the most potential in connection with the digital transition. These recommendations do not not include estimates on the investments needed to achieve the value impacts. But the recommendations anticipate measures for favourable climate for digital investments and access to capital and financing, by promoting investment by SMEs in digital transition and a review of tax depreciation rules for digital investments and deductible development costs. Other instruments for promoting investments of SMEs) are the Danish Growth Fund and the Market Development Fund. It was decided that budgets for publicly funded R&D will be cut by 2% each of the next four years. However, public R&D is still projected to be close to 1%. 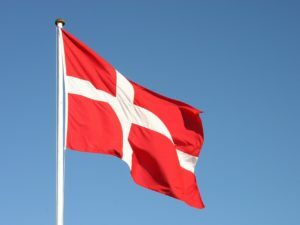 The Innovation Fund Denmark is the major public lever for new innovation driven investment (annual budget of DKK 1.6 billion or €210 million), with specific actions on digitising (such as the MADE Digital, with DKK 79 million or €10.61 million). The Innovation Fund Denmark (created in 2013 from the merger of three specific innovation agencies) is the unique agency responsible for translating ideas, knowledge and technology to the benefit of growth and employment and solutions to societal challenges. Innovation Fund Denmark invests in 2017 DKK 1.2 billion (€0.161 bn) in the innovation value chain covering: applied research, experimental development and demonstration and market development. FORSK2025 (RESEARCH2025) is a catalogue, published in June 2017, which provides a consolidated overview of the most promising research areas in the future seen from the perspective of private companies, organisations, ministries, knowledge institutions etc. as a basis of prioritisation for the strategic research. FORSK2025 must form the reference for future investments in research to be based on sound knowledge about the research needs of society and the new opportunities that research can lead to. In FORSK2025, a total of 19 prominent research topics are identified within four main areas: New Technological Options; Green Growth; Better Health; People and Society. Two most relevant research themes are: ‘Denmark as a digital pioneer country’ and ‘Future production’. This catalogue provides must be used as a technical basis for political priorities of strategic research funds – last year, the parliament voted for more than 500 million (€ 67.2 mio). Business Finland(formerly Tekes) is a publicly funded expert organisation for financing research, development and innovation in Finland with 467 MEUR of funding in 2016 (including 6 MEUR from EU structural funds) for 3,760 projects (List here). 5G Test Network Finland (5GTNF) coordinates and combines the research and technology development activities from the 5G infrastructures built under Business Finland’s 5thGear programme. 5GTNF is a joint effort from industry, academia and Finnish government with global manufacturers such as Nokia, Ericsson, Huawei, Coriant and Intel as well as internationally recognized research organizations like VTT, University of Oulu, University of Helsinki, Tampere University of Technology and Aalto University. The investments that are directed to the digitisation of industry are distributed among many instruments. It has decreased from 17.5 to 14 billion EUR between 2009 and 2016, but the fiscal expenditure has increased since the reform of the ‘Crédit Impôt Recherche’ (CIR) in 2008, allowing companies to benefit from a tax reduction for a large range of research related spending. The tax credit covers up to 30% of R&D expenses. The foregone revenue due to R&D tax credit has passed to €5,600M in 2013. The new government has decided to maintain the CIR at a high level. In addition to the CIR, other R&D tax incentives have been developed in France such as the innovation tax credit (Crédit Impôt Innovation, 2013). Accelerating the ecological transition: 20 billion EUR will be dedicated mainly to the energy transition (among these the energy efficiency in buildings). Smart solutions will require digital technologies and application. Building a society of competences: 15 billion EUR invested in people (vocational training), among other things to train 1 million of non-employed and 1 million of young drop-outs. This will be connected with the skills agenda for digitisation. Anchoring competitiveness in innovation: 13 billion EUR is budgeted for new initiatives such as consolidation of world-level integrated universities (3,5 billion EUR); supporting new research priorities such as artificial intelligence, exploitation of big data, nanotechnologies or cybersecurity and the accompaniment of sectors in transformation (4,6 billion EUR); modernisation of agriculture, fisheries and agri-food (5 billion EUR). There is a prominent place for digital technologies. Constructing the state of the digital age: 9 billion EUR is allocated for digital transformation of public services, in particular 4.9 billion EUR for digitisation of health and social protection services. The public investment bank BPI France is playing more and more a central role in the management of innovation aid. It has been endowed in 2013 with a fund of 21 billion EUR. In 2016 additional development funds at BPI were oriented towards large projects ( “French Tech initiative”, “French Tech Accélération and Large Venture Funds”) in some specific areas : health, digital, and environment (a 600MEUR fund with 10 MEUR tickets). French Tech is an initiative launched by the French government to promote French startups in France and abroad. It has several components. The promotional labelling of “French Tech concerns 13 metropolises in France in the provinces. Paris as a world class metropolis is outside this classification. In addition, startups are also grouped into thematic networks throughout the country. Finally, networks of French startups abroad have been labelled as “French Tech Hubs” in 22 cities around the world. In addition to this, the French Tech initiative also includes a French Tech Acceleration Fund managed by BPI France for equity investments with an endowment of 200 million EUR. Finally, French Tech awards grants of between 10 000 and 30 000 EUR as seed money. The Federal Ministry for Economic Affairs and Energy (BMWi) is funding applied research programs in the area of autonomous systems that have a close relation to Industry 4.0. “Autonomics for Industry 4.0” (2013-2017, 16 projects, 44 MEUR) used state-of-the-art ICT to reduce the amount of energy required in manufacturing processes, whilst also aiming to make these processes more environmentally friendly and efficient in terms of material wear. Another aim of the program was to foster the development of a highly flexible production infrastructure that is able to respond to customer demands for highly individualized products (batch size 1). In turn, this intends to stimulate the development of innovative premium-level products (e.g. service robots) that offer particular benefits, added value, and are thus highly attractive for users from the various industry sectors and for consumers alike. In addition to focussing on technological developments, Autonomics also dealt with important issues across multiple sectors, including law, human-machine interaction, industrial service robotics, and reference architectures for autonomous systems. Six sets of guidelines have been published based on the outcomes of the projects. In the current technology program “Platforms, Additive Manufacturing, Imaging, Communication, Engineering – PaiCE” (2016-2021, 14 projects, 46 MEUR), new solutions spanning several links of the value chain are developed and tested by interconnecting different technology fields. For instance, innovative technologies and methods are developed, which open up new possibilities for universal product engineering and for correlating this with production processes. Dynamic process optimization also means the implementation of innovative logistics solutions in a highly agile manner so that these may be adapted fast to changing market requirements or unforeseeable events. 3D technologies offer new possibilities in the development and optimization of products, in process monitoring and in quality assurance. These far-reaching integration processes require appropriately designed communication networks that are specially designed for requirements in the industrial environment. These include high scalability, availability, realtime capability and high security in terms of credibility and integrity. Service robotics also plays a significant role in the automation of industrial production. The development of service robotics for wide low-cost industrial use, especially for SMEs, is a core objective of PAiCE. As part of the BMWi program “PAiCE”, the lighthouse project “Industrial Communication for Factories” – IC4F78 (March 2017-June 2020; 18.3 MEUR budget, 10 M BMWi funding) aims at the development of secure, robust and real-time communication solutions for the processing industry. By mid-2020, 15 project partners from industry and research will develop a technology kit for a trustworthy industrial communications and computing infrastructure based on an open architecture that extends across domains and allows a modular extension for new applications and communication technologies. Key technologies from the areas of 5G, multi-access edge computing (MEC), cloud computing, virtualization, as well as industrial monitoring and analytics are used. The technology kit is intended to enable users to select the right ICT technologies, according to the new Industry 4.0 requirements and the specific migration approach. For the implementation of IPAR 4.0 a number of specific funds have been made available. There is a public funding model behind IPAR 4.0 comprising a mixture of different public financial instruments. 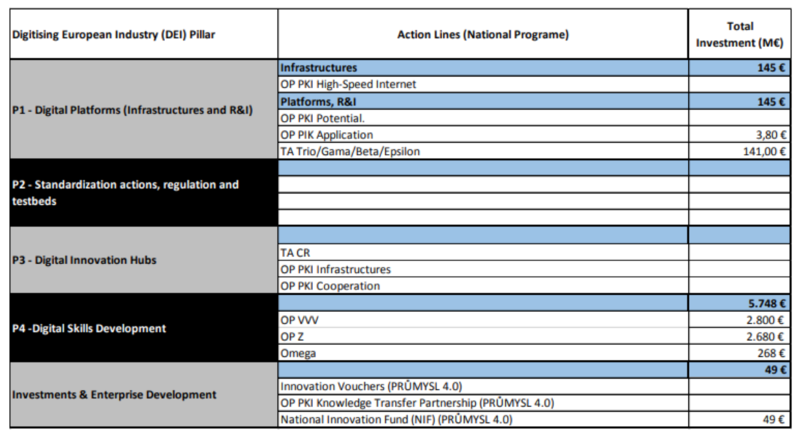 As part of the wider EPIC CoE project (EPIC CoE), IPAR 4.0 National Platform is financed by the same financial sources. 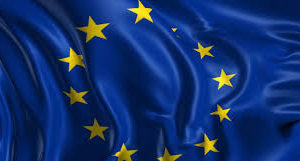 The Horizon2020 grant of more than 10.8 million EUR (around 3.26 billion HUF) awarded through the Horizon 2020 framework programme represents the key financial instrument of the project. Major financial contributions were also made by the NRDI Office (National Research, Development and Innovation Office) (3.6 million EUR) and GINOP. The entire budget of the EPIC CoE, including voluntary in-kind contributions from participating stakeholders accounts for 21.7 million EUR (6.5 billion HUF). The Centre of Excellence in Production Informatics and Control (EPIC CoE) was established with the objective to be a leading, internationally acknowledged and sustainable focus point in its field, representing excellence in research, development and innovation related to Cyber-Physical Production (CPP). The big challenges of the new technological era when information and communication technologies are fundamentally transforming and revolutionizing production will be responded by concentrating the multidisciplinary, partly overlapping, partly complementary competences of CoE partners from Hungary, Germany and Austria. The mission of EPIC CoE – as a leading-edge knowledge centre of cyber-physical production systems – is to accelerate innovation, realize industrial solutions, train new generations of highly qualified professionals and support the development of a sustainable and competitive European manufacturing ecosystem. Those funds that should support the operation of the Hungarian Industry 4.0 Platform will be complemented by the resources made available through national research and innovation programmes that contribute to the strengthening of digital skills, innovation infrastructures, testbed and digital technologies. “Intellect” („Intelektas. Bendri mokslo–verslo projektai“) aims at encouraging companies to invest in R&D activities for the development of new products, services or processes as well as to invest in R&D infrastructure and certify newly created products. The program is divided in two sub-programs. One is designed for young innovative companies (funding maximum 400.000 EUR), the other addresses mature innovative companies (funding maximum: 4.4 M EUR). The budget for the call 2017 is EUR 100.000.000 (30M for start-ups; 70M for mature innovators), financed through the European Union Funds Investment Facility; Operational Program No. J05-LVPA-K. Projects must meet priority areas defined in national Smart Specialization Strategy. The measure has been started in 2015. In 2017, a first call has been published in June; and a second phase has been announced for November 2017. Another initiative to stimulate innovation activities in businesses is the Innovation Voucher program. The vouchers entitle companies to buy R&D services or use expertise maintained at research institutions. The appeal of Innovation Vouchers is related to its simplicity and low administrative burden both for beneficiaries and administrators. In Lithuania, there are two types of activities supported under the scheme: 1) early stage R&D, and 2) preparation of technical feasibility studies. Companies may choose a service from a list which includes nearly 2500 R&D services of different types. Since the scheme is designed to encourage R&D activities in companies, all private legal entities are eligible applicants. Applicants may get funding for up to 70%of total project eligible costs. The allocated budget for this measure is 10.1 M EUR. Digital Tech Fund, established by the Ministry of Economy in 2016, is a seed fund created together with a group of private investors to support the funding and development of start-up companies in the field of ICT. This fund is part of the strategy ‘Digital Lëtzebuerg’, to support start-up ICT companies, and complete the national ecosystem favourable to the development of young innovative companies in the field of ICT. 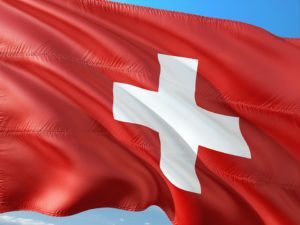 The state participates in the fund with a budget of 5 million EUR; other investors contribute a total of 15.33 million EUR, of which 3 million are from the National Credit and Investment Company (SNCI) and one million EUR from the University of Luxembourg. The Government is exploring setting up a 5G technology testbed in Luxembourg. Luxembourg wants to create “a 25km-long testbed” along Luxembourg motorways in order to start testing self-driving cars. 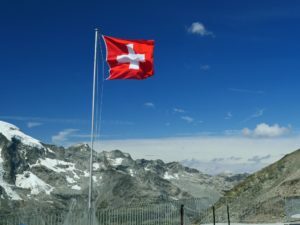 GER – FR Cross-border test bed for automated driving In February 2017, the federal Minister of Transport Alexander Dobrindt and his French colleague Alain Vidalies have agreed to set up a German-French digital test best. The test track will start in Merzig / Saarland and lead across Saarbrücken to Metz. In particular, the communication of vehicles will be tested. In addition, computer-assisted overtaking as well as threading and braking will be precisely tested. Consistent traffic warning services and the cross-border operation of the eCall emergency call system are also the focus of the test. The Luxembourgish Government is currently working on joining this project. Generic innovation policy in 2016: 1,200 MEUR (of which 2/3 goes to SMEs and 300 MEUR or 25% for ICT). Specific innovation policy (Top Knowledge and Innovation or TKI Top-up, MIT or SME Innovation Promotion of the Top-Sectors, contributions to JTI etc.) there was 134 million EUR for subsidies available in 2015. In addition, there are contributions to knowledge institutes such as TNO and execution agencies for more than 650 million EUR. Future Fund for extra impulses, such as investments in research facilities and infrastructures with interest free loans. 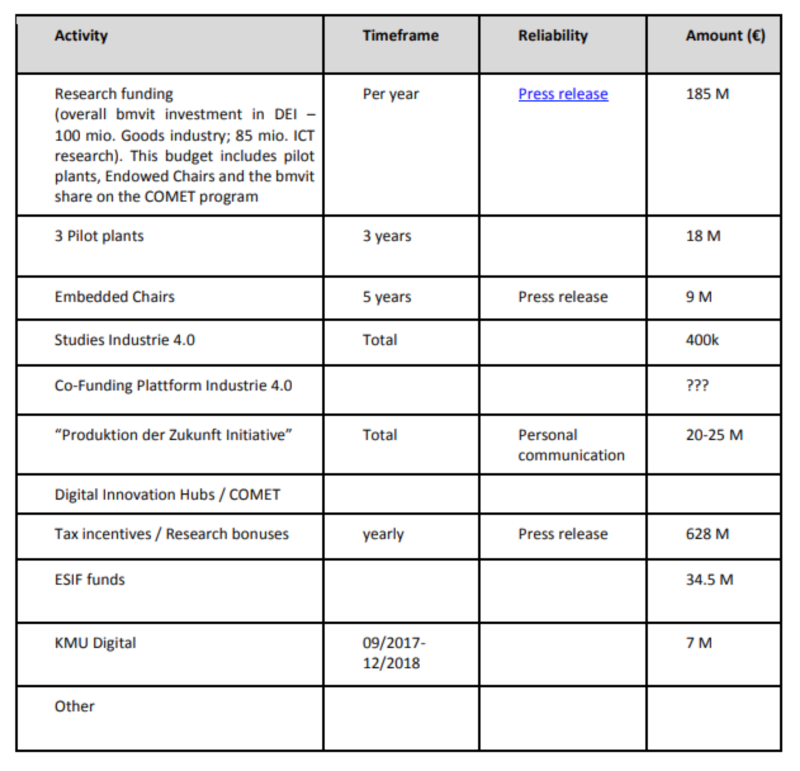 Besides enterprise policy the funding of public research is a direct source of investment for digital transformation. These budgets are managed by the Ministry of Education, Culture and Science. In 2016 there was 3.3 billion EUR for fundamental research. The amount for applied research was quite lower, with 390 million. Part of it was going to Top Sector policy. For the future the government anticipates an increase of private R&D in the TKI budgets. The original target for 2020 of in total 500 million EUR of TKI investment (and 40% of private funding) has been raised to 800 million EUR. But in 2015 the budget was already more than 1 billion with 48% private funding. The new PPP Top-up will continue granting an extra 25% budget for research to be conducted by public research institutes in the framework of the TKI programmes and projects. A ‘Team ICT’ stimulates ICT innovation with and across Top Sectors and promote new PPPs in strategic areas. The Team ICT is composed of heavy-weights from business (the presidents of the general employer federation and of the ICT sector federation) and research and government. The first task of the Team was to develop a joint Knowledge and Innovation Agenda ICT 2016 – 2019. This domain is endowed with 40 million EUR by the government for PPPs. The second action was the preparation of a PPP for Big Data (Commit2Data) to do research on data analytics that provides solutions in the domains of energy (smart grids), care (prevention, diagnostics, personalised care and nutrition), cybersecurity and smart industry (production and maintenance). Commit2Data also offers opportunities to SMEs to gain experience with data analytics. The public budget for KIA ICT is about 19 million EUR a year in 2016 and 17 (part of KIA HTSM, High-Tech Systems and Material). The Team established the community platform Dutch Digital Delta. The Knowledge and Innovation Agenda has been renewed for the period 2018-2021and translated in an ICT Action Plancontaining five subjects with cross-sectoral impact: big data, cybersecurity, artificial intelligence, blockchain and 5G communication. The Blockchain Coalition, another PPP initiative of the Team ICT, promotes large-scale roll-out of blockchain technology in the Netherlands (in particular in the logistics sector). The Top Sector policy evolved over different stages of institutionalisation and policy learning to a broader PPP policy (with top sectors as core). They benefit from specific support mechanism (top-up for joint research and SME innovation support instrument – MIT). These financial means are not very large (less than 150 million EUR/year for all sectors), but its main merit has been a better alignment of research programming between research organisations and a clear demand-led approach (Top-ups only for public research that has private funding as a basis). The Top-sector approach received recently a positive evaluation. The specific governance: by ‘Top Teams’ has brought a new dynamics of aligning public research agendas with industry. There is a need although for thematic renewal and more cross-overs. The new Knowledge and Innovation Agendas 2018-2020 will be along lines of societal challenges and key technologies instead of sectoral lines. The ICT agenda has been instrumental in developing the more cross-sectoral approach. The high-tech sector in the Netherlands stands for € 2,2 billon EUR (2014) or about of 50% of total Business R&D. About 500 million EUR is invested in PPPs, matched by about the same amount by the public sector. TNO is the biggest Research and Technology Organisation of the Dutch government, employing more than 2600 professionals. Its develops applied research in 5 societal focus areas: industry; urbanisation; healthy living; energy; defence, safety and security. With these smart industry concepts TNO works on digitising of production processes, products and systems. TNO combines data integration (big data, artificial intelligence), adding smart function (sensors, user interfaces, Internet of Things), and new applications of 5G wireless networks and new transaction methods between systems (Blockchain). The National Centre for Research and Development (NCBR) is the implementing agency of the Minister of Science and Higher Education. Area 2: IT methods in personalized medicine, diagnostics, therapy and chemo informatics. Area 3: Machine learning in robotics, with an emphasis on autonomous device control. Area 4: Cyber security for citizens, businesses and administrators. Area 5: Intelligent control, management and communications systems. The task of the experts will be to develop proposals for the program’s objectives (3 experts per area). No specific fund for ICT or 5G. An initiative for four key industry verticals. The national initiative Portugal i4.0 presented in January 2017 is part of the National Strategy for the Digitalization of the Economy. Four fields of business are prioritised: fashion and retail, Automotive, Tourism, Agri-food. The total investment is 414 million EUR (100% supported by EU funds) and up to 2.26 billion EUR in incentives, via Portugal 2020, for the development of awareness and adoption of technologies associated with the Industry 4.0 concept, in the next four years. Objective 1 is designed to drive research, technological development and innovation, with a provision of 2.89 billion EUR of ERDF aid and 1.43 of national funding. Objective 3, designed to improve the competitiveness of SMEs benefits from 269 MEUR of ERDF aid and 133 MEUR of national funding. 309 MEUR on talent mobilization. The objective is to encourage training, specialization, insertion employment and mobility of human resources in R + D + i. The actions included are intended to finance, through calls in competitive competition, recruitment both in the public R + D + i sector and in the business sector. promote public-private collaboration as a result of the early identification of the business interest of the results of R & D & I derived from the activities of public research agents and other public R & D centres and private, thereby promoting the transfer and circulation of knowledge scientific-technical and its multiple applications. Stimulate the generation of a critical mass in R & D & I of interdisciplinary nature and necessary to move forward in the search for solutions in accordance with the priorities established in each of the Challenges. Promote a close relationship between scientific and technical research, development of new technologies and the business application of new ideas and techniques, and medium and long term, contribute to its translation into products and services. Strengthen the international leadership capacity of the Spanish Science System, Technology and Innovation and its agents, and contributing to improve the competitiveness of business tissue. Articulate the R & D & I capacities as well as the promotion and financing instruments with other regional and international agents, mainly European, to develop a true joint programming. In November 2016, the government announced via a press release the spending of 11.5 MSEK (1.2 MEUR) until March 2020 for investment promotion related to Smart Industry. In the period 2017-2020, the government intends to increase funding by 850 million SEK (82 MEUR) for broadband expansion targeting areas where conditions for commercial expansion are missing. Furthermore, the government has decided to redistribute 150 million SEK (14.5 MEUR) to broadband expansion within the framework of the European Agricultural Fund for Regional Development. This means that the existing support for broadband expansion within the framework of the EAFRD is increased from 3.25 billion SEK (314 MEUR) to 4.25 billion SEK (410 MEUR). 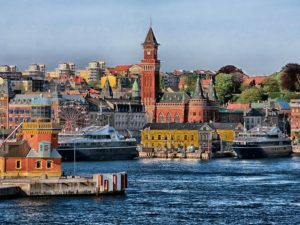 Previously, the government has also enabled investments of 1.2 billion SEK through efforts made for the three northern regional programs of the European Regional Development Fund (ERDF). The investments within the framework of the EAFRD and the ERDF will complete and reinforce one another. The Swedish government carries out an investment in digitalization consulting for SMEs with an investment of 78 MSEK (7.5 MEUR). 5 MGBP for the 5G Smart Tourism consortium led by the West of England Combined Authority. This testbed will focus on delivering enhanced visual experiences for tourists using AR and VR technology in major attractions in Bath and Bristol in south west England. 8 MGBP for the Worcestershire 5G consortium led by Worcestershire Local Enterprise partnership. This test will focus on increasing industrial productivity through assisted maintenance using robotics, big data analytics and Augmented Reality over 5G. 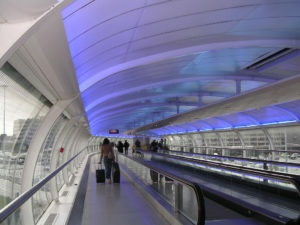 led by Quickline Communications. 5GRIT will be trialling innovative use of 5G technology across a range of rural applications, such as smart agriculture, tourism and connecting underserved communities, using shared spectrum in the TV bands and a mix of local ISPs and self-provision. 5 MGBP for Liverpool 5G Testbed led by Sensor City. The projectis focused on bringing gigabit broadband to deprived areas, to support services such as next generation healthcare. 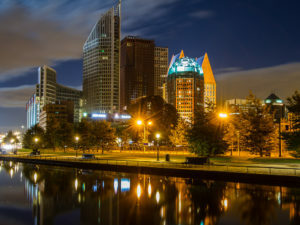 1 MGBP for AutoAir: 5GTestbed for Connected and Autonomous Vehicles led by Airspan Communications. The test is focused on delivering bandwidth to high-speed vehicles (cars, buses and trains) at the Millbrook’s vehicule test track.